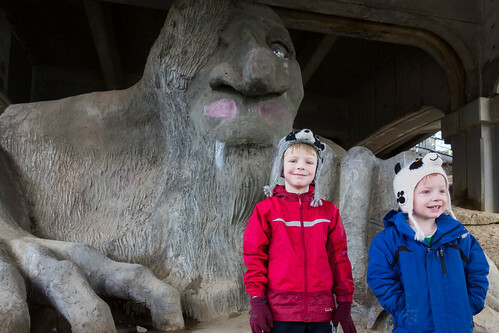 Two days before Christmas, I spent the morning hanging out with the boys and the Fremont Troll. This was an even better idea than it seems. The boys climbed, jumped, got dirty, and had an all-around excellent time. It was better than a playground.